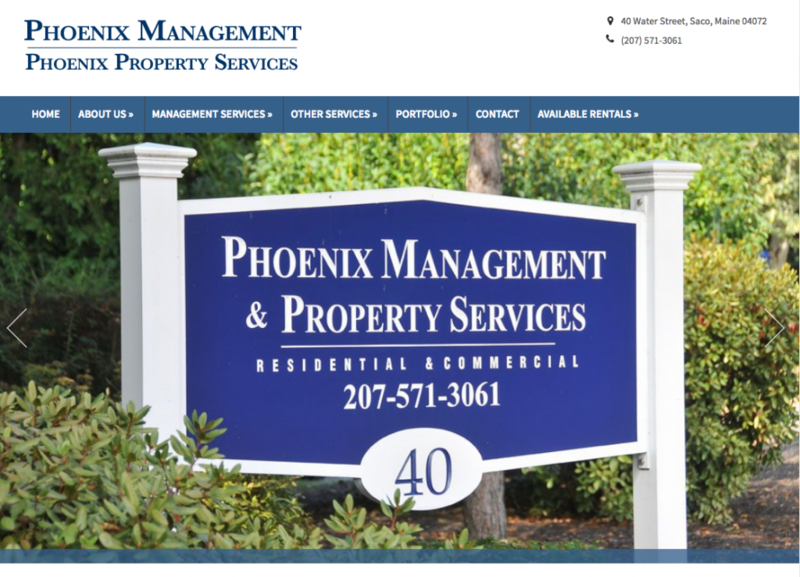 This redesigned and relaunched site serves as a marketing tool and maintenance portal for a property management company in Saco, Maine. The new design, based on the Wordpress platform, features a scrolling hero image, smaller teaser nuggets and customer testimonials. The site also incorporates a work order form, allowing the company's clients to submit maintenance issues easily and quickly, 24 hours a day. Along the with redesign, Custom Communications provided training to Phoenix Management employees on maintaining the site and providing regular backups and security updates to the operating software.